Laying off five-figures worth of employees in 2015 might&apos;ve seemed like enough for BofA to take a nice long break from cutting people but, according to Brian Moynihan, there&apos;ll be more where that came from. Have your boxes ready. Bank of America Corp. has more expenses to cut as it weathers another year of low interest rates, Chief Executive Officer Brian Moynihan told shareholders. Profitability at the bank, which generates about half its revenue from interest income, has been weighed down as the Federal Reserve keeps benchmark interest rates at 0.5 percent. Rates have been below 1 percent for nearly a decade. “What do you do? In that environment, you drive down expenses,” Moynihan, 56, said Wednesday at the bank’s annual meeting in Charlotte, North Carolina. 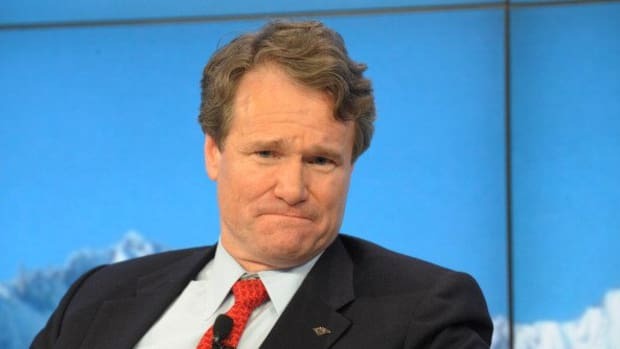 “We should run better.” Bank of America cut more than 10,000 jobs in 2015, and Moynihan has said he will eliminate more this year as the industry gets squeezed by sluggish trading and rising losses on loans to energy companies.